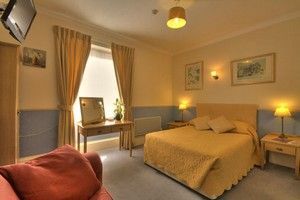 More than just a B&B, Fairlawn House is a family owned and run guest house set in a beautiful Georgian Grade II listed town house in Amesbury town centre - just 2 miles from the historic site of Stonehenge. 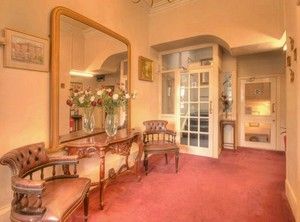 Fairlawn House is our home as well as our business and, together with our small team, we aim to provide a warm welcome and a friendly, professional service to ensure your stay is as enjoyable as possible. Guest rooms are traditionally furnished and decorated but with the modern essentials you'd expect when staying away from home. We have a lovely cosy cellar room where we serve delicious cooked breakfasts - all freshly cooked to order - and a range of continental style buffet items. There is also free Wifi access and free overnight and weekend parking nearby. 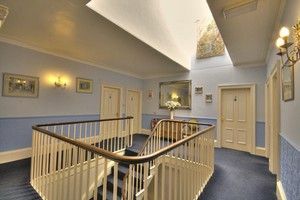 PLESE NOTE THAT, BEING A GRADE II LISTED TOWNHOUSE WITH MANY STAIRS, WE REGRET THAT DISABLED ACCESS IS VERY LIMITED AT FAIRLAWN HOUSE. PLEASE CONTACT US DIRECT IF YOU HAVE ANY CONCERNS ABOUT ACCESSIBILITY. In addition, we are approximately 70 miles from the outskirts of London, 30 miles from the International Airport and Docks at Southampton and the picturesque New Forest. Fairlawn House is an ideal stopover for touring visitors, a great base for local exploration and well-used by business travellers. The house was built in 1837 and as a listed building disabled access is limited, however we want to provide the best service for all guests so please call us in advance to discuss your requirements. Should you require any information we will be pleased to assist you in any way we can. Please just contact us on 01980 622103.